Product Description: A single addition to any website that will increase sales and engagement absolutely? Sign me up! Provely is something you can seamlessly add to your website that will increase purchases by others. How does it work and DOES it actually work? Considering the fact that you don’t have to do anything once it’s in action, and how easy it is to set up, there aren’t many other things out there which are more user-friendly. 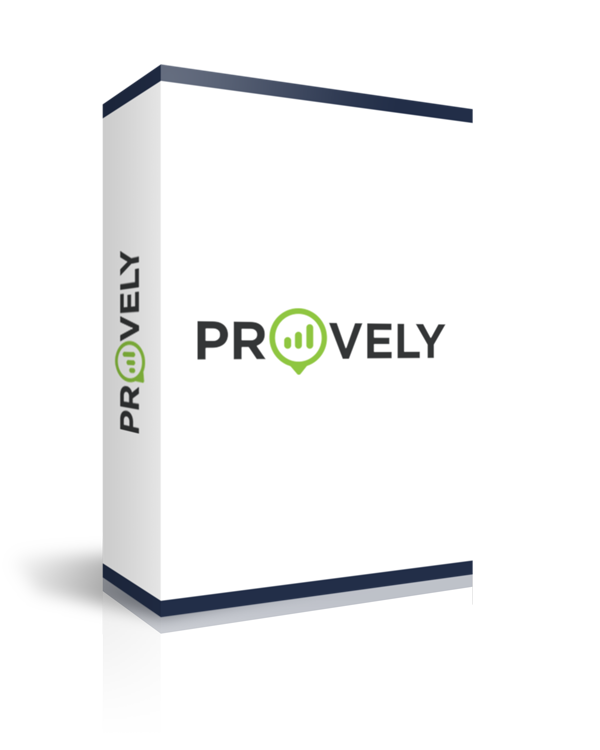 Provely takes the guesswork out of installing something new and makes it easy for your site to move into the future of marketing. We love this product because it doesn’t take much needed time away from anything else equally important – it’s a set it and forget it application which is perfect for busy people. We were going to throw in their 30-day money back guarantee into the value section but it’s better suited here. The fact that they offer it shows they believe in the product, and that there is support available, or there would be nobody to issue the refund! They’ve provided their contact details clearly and offer support as well as ongoing updates and future enhancements to Provely. Many companies offer something but then leave it to stand and stagnate without support or updates and eventually the product isn’t worth having anymore. The fact that Provely has clear support and a mind toward the future gives us peace of mind that we bought the right product.